All of us give out some sort of personal information when we’re online, it could be as little as username or email and be as dangerous as your password or credit card information. The new fad these days is to use social media login buttons that allow users to use their existing social media accounts to login to your website. This can be a good thing but also a very bad thing. For example, it’s great because you don’t have to manage different login names and be fearful that someone may have taken your user name or the websites database becoming hacked and getting your personal information stolen. Because social media login buttons use encryption and encrypted data it’s the preferred choice when logging into a website. Doing something like that creates one weakness in the system, whoever has access to that authentication can access anything from that social media account, and if it’s something like Twitter or Facebook they could potentially have access to something like you’re personal phone numbers, email addresses, mailing addresses, they can even use it to post to your friends or followers. I know this sounds scary, it can happen and it’s an extreme scenario, but there are ways to know exactly who has access to your personal information on your social media accounts. This website that I just can’t get enough of is MyPermissions. It’s a simple weekend startup links you to exactly where you can see what applications have access to your social media accounts by just pressing the social media button on the website. If you’re a little but more security conscious, they have a paid $4.99/month plan that will give you near real-time alerts when applications access your social media information and gives you quick tools to easily deal with what is happening. That’s just a paid option but the simple linking is totally free and doesn’t cost you anything. I recommend that you go through your social media applications once a month to know what has access to your account and remove anything that you don’t need anymore. MyPermissions makes it super simple by letting you add your email to a mailing list that will email you once a month at the end of the month to remind you to check your permissions. 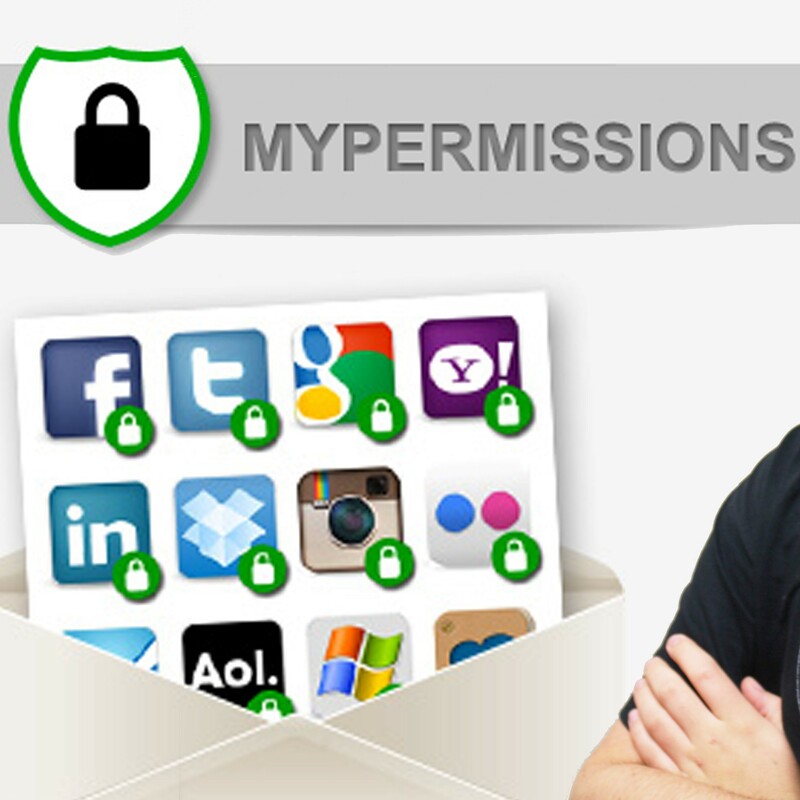 Keeping your personal information online protected is just as simple as visiting MyPermissions once a month.